Janie Mossor Service Details - East Liverpool, Ohio | Dawson Funeral Home, Inc.
STEUBENVILLE, OHIO – Melissa “Janie” Hyatt Mossor, 82, of Chester, WV passed away Tuesday, October 9, 2018 at Valley Hospice Care Center North, Steubenville, OH. Janie was born in Cicerone, WV on January 4, 1936 a daughter of the late John F. and Della Moore Ashby. Janie was a member of the Chester Church of the Nazarene. 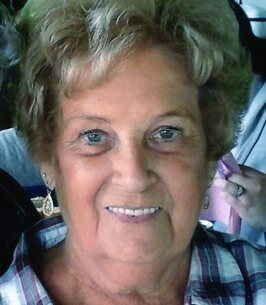 She was a homemaker and enjoyed crocheting, reading, traveling and gardening. Preceding Janie in death were her 1st husband Earnest F. Hyatt; 2nd husband Charles W. White; five sisters and two brothers. Surviving are her husband, whom she married September 26, 2003, Carlton D. Mossor; daughter Brenda S. Hyatt of Mineral Wells, WV; two sons Donald J. (Elaine) Hyatt and Larry F. Hyatt both of Chester, WV; two granddaughters Jessica (Jeff) White of Akron, OH and Kiesha (Eric) Shimon of Weirton, WV; grandson Codey Hyatt (Stacy Boyles) of Salem, OH; three great grandchildren Justina Shimon, Jordan Hyatt and Autumn Hyatt and three sisters Ada Plumley of Racine, WV, Virginia Carter of Cuyahoga Falls, OH and Garnett Whited of Elizabeth, WV. Friends may visit Friday afternoon and evening at the Dawson Funeral Home where the family will be present from 2 to 4 and 6 to 8 p.m. Evangelist Will Montgomery will conduct a funeral service Saturday at 11:00 a.m. at the funeral home. Burial will be at Locust Hill Cemetery, Chester, WV. Following the service, friends and family will gather at the Dawson Family Center for fellowship. To send flowers to the family of Janie Mossor, please visit our Heartfelt Sympathies Store. We encourage you to share any memorable photos or stories about Melissa. All tributes placed on and purchased through this memorial website will remain on in perpetuity for future generations.